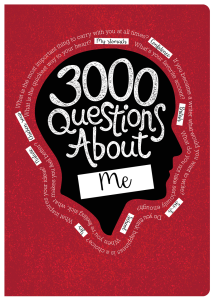 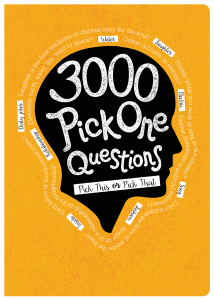 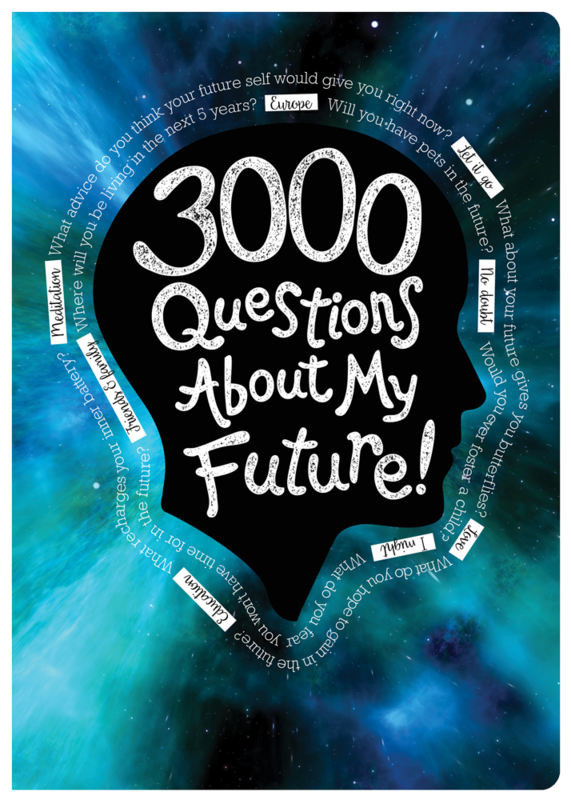 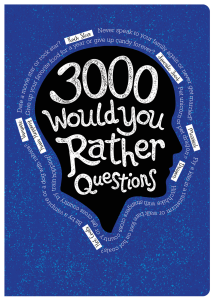 You can design your future by asking the right questions and 3000 Questions About My Future has got you covered. 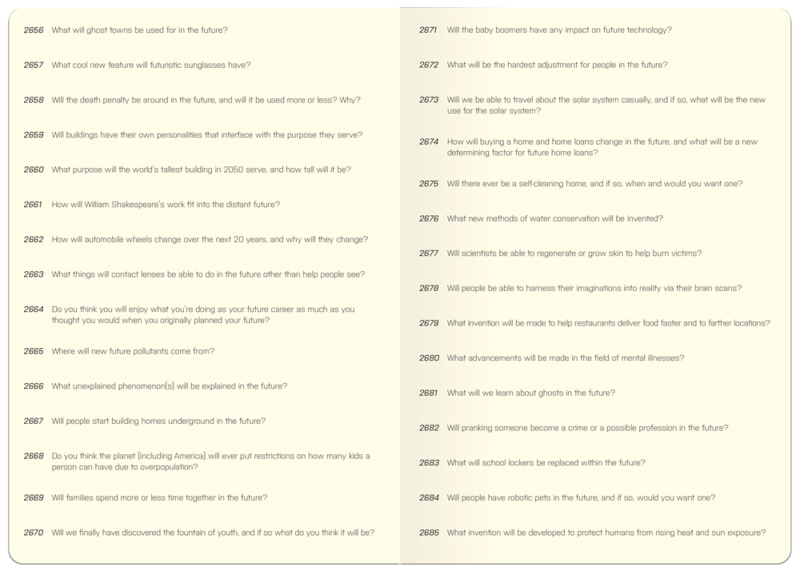 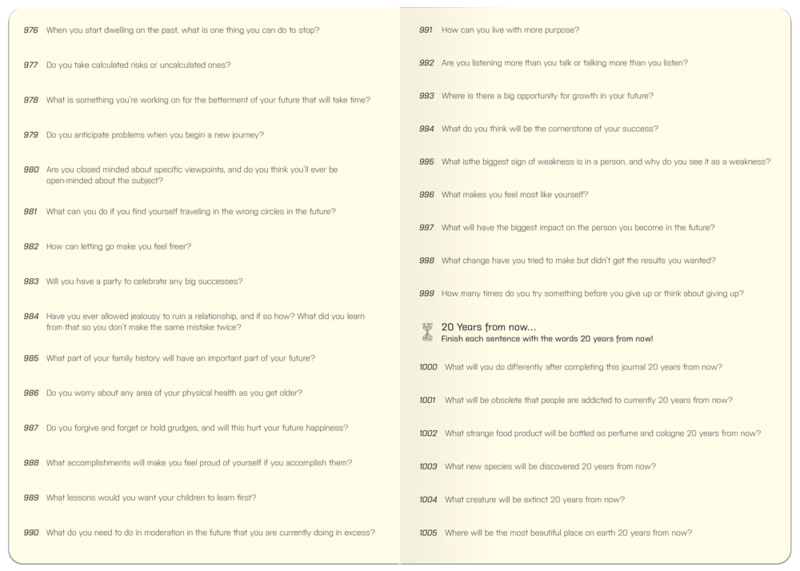 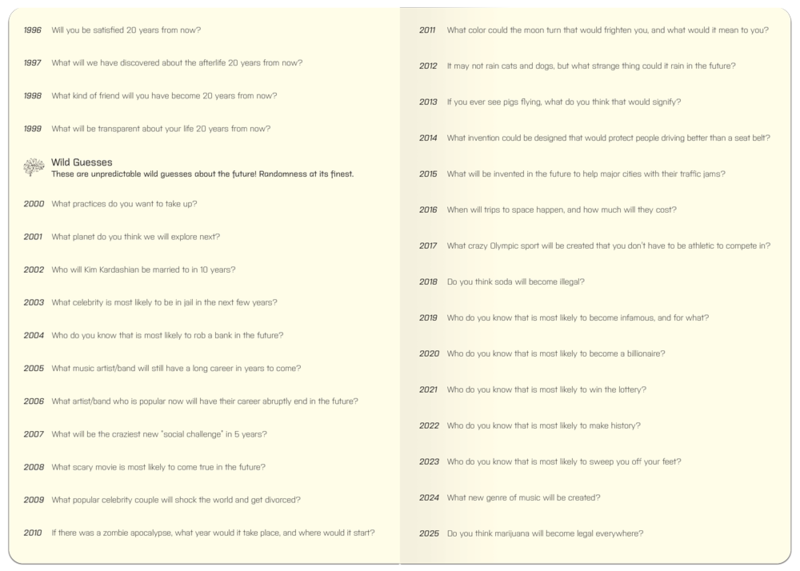 Introspective questions about the near future, 20 years from now questions about the world around you, and unpredictable wild guesses about the future fill this journal. 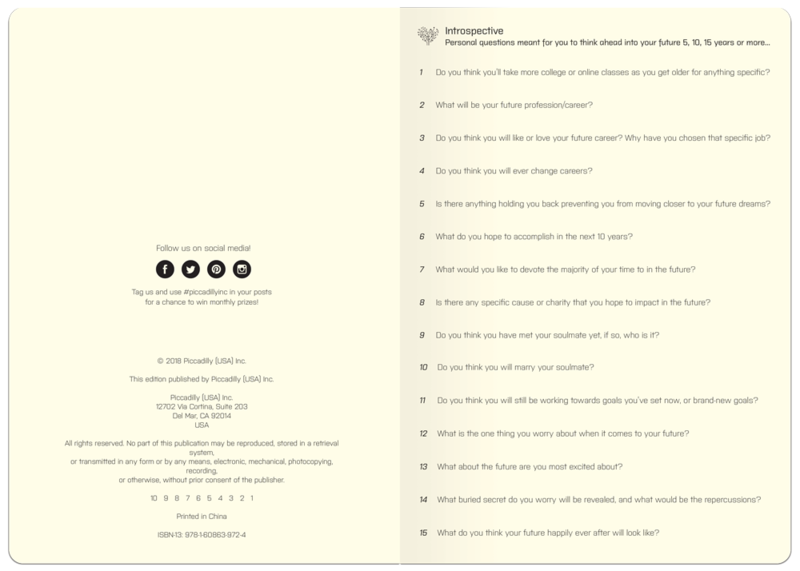 As Abraham Lincoln once said, “The best way to predict the future is to create it.” Answer these questions to start, your future self will thank you.